The Loco Poco – the Wavestorm Taquito stand up paddleboard cut down to a 4’9″ shape with a thruster finbox – has been a big success. I first took it out to Beaver wave at low-ish flows, where I didn’t expect it to do well. The wave is pretty green and glassy, and I figured something under 5′ wouldn’t do well, even with all of the volume. I was wrong. 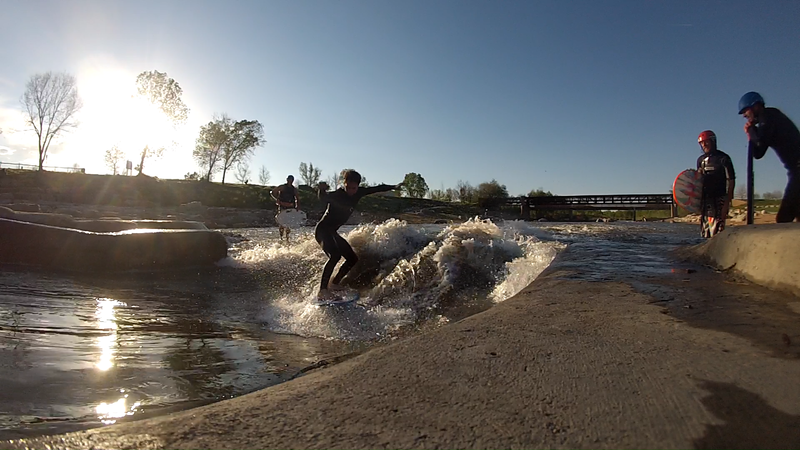 The high volume, particularly in the tail, allowed me to get a lot of pop off the wave, and the short length made it easy to turn while the thruster setup gave it some stability. It was a blast, and though it was a little tougher to pop up on than the Poquito Taquito, it still wasn’t too tough. It really shined when I took it out to River Run Park, where the season has just started. The main wave, Benihana’s, is steep and green and fast, and the steep trough makes it tough to keep anything longer than 5′ from pearling. Most short boards people have been using are wakesurf boards or maybe small volume fishes. The high volume of the Loco did great, allowing me to skate in off the eddylines but really keep a lot of pressure on my back foot to keep the nose up. 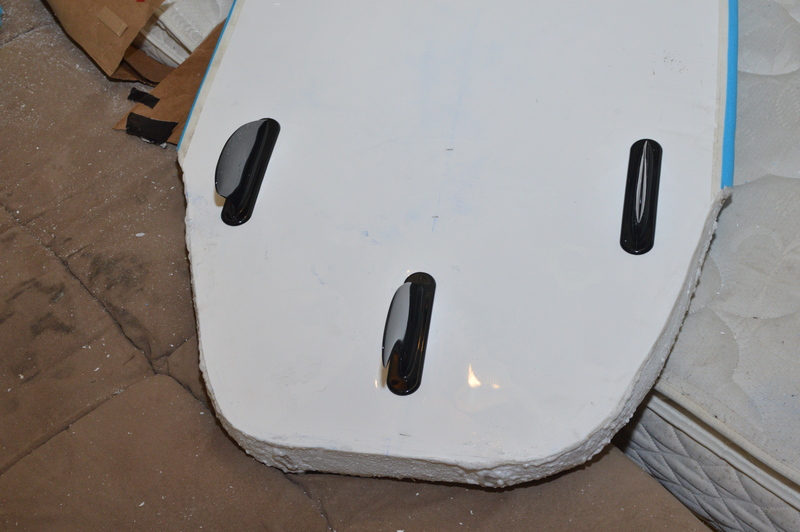 And with the rearward thruster setup, I was able to carve even if all of my weight was on the very tail of the board. Like this. I was able to get the longest rides I’ve ever had, and I’ll be back soon, with Loco Poco in tow. It’s been a surprisingly versatile board, and while something with a little less volume may be the ticket once I have some of these waves dialed, I think the Loco is going to stay in my quiver for a long time. Update: Wavestorm has also released an 8′ kids paddleboard, which should work just as well for modifications. Find it here.